As some of you might know, I love to visit festivals. And through the years I realized there are some essentials you can't miss out on when you're attending a festival. First of all, good booties like the ones above! I think shoes make the outfit. Dirty allstars or some ankle booties are always great. Second you need hair accessories! Many hair accesories! Flowers, feathers everything. Topshop has great hair accessories. Third, good sunnies. As they will probably hide your eyes all day long. Fourth a good backpack or bag, with fringes or wild colours. Where you can keep all the important stuff, like your camera, jacket, money, and other stuff. 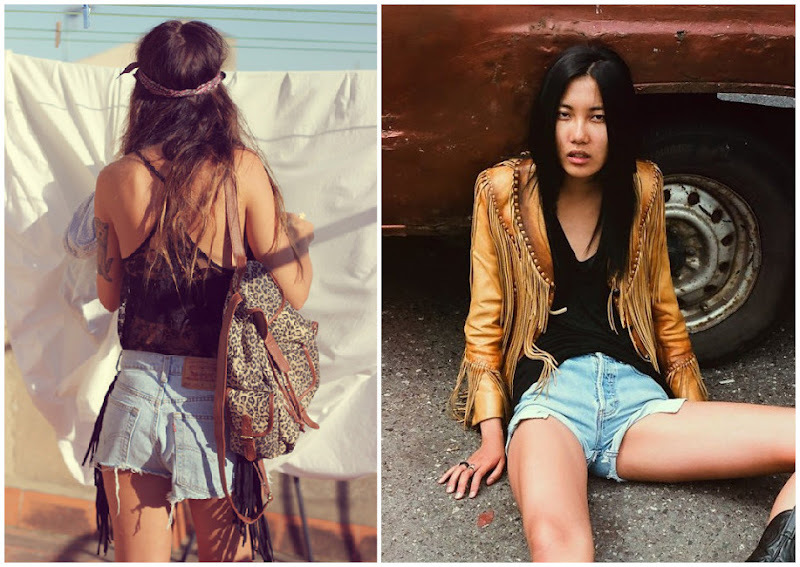 And lastly, a bunch of boho style clothes (like shorts, loose tops, kimonos, dresses, fringe jackets etc). Are you guys attending any festivals this year? Which one? 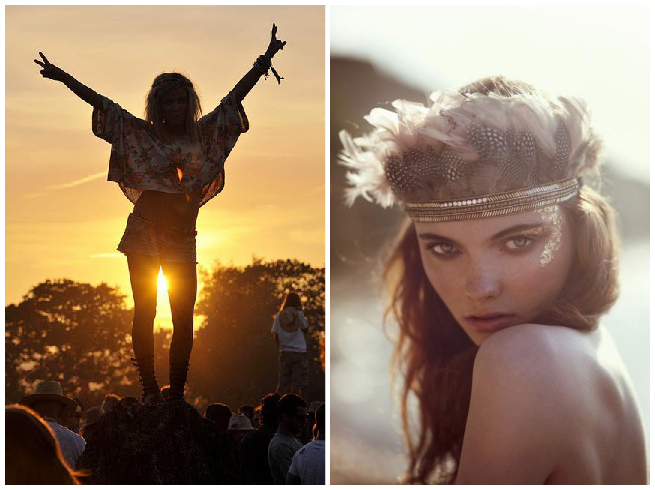 Click to see more festival inspiration! Gave set zo bij elkaar! Wat een gave outfits! Krijg echt zin in de festivals nu! Ik ben al naar 1 geweest, Heavenly Outdoor. En ga sowieso nog naar Mysteryland en hoop nbaar Sziget te gaan dit jaar. Die kimono van de zara ziet er mooi uit! 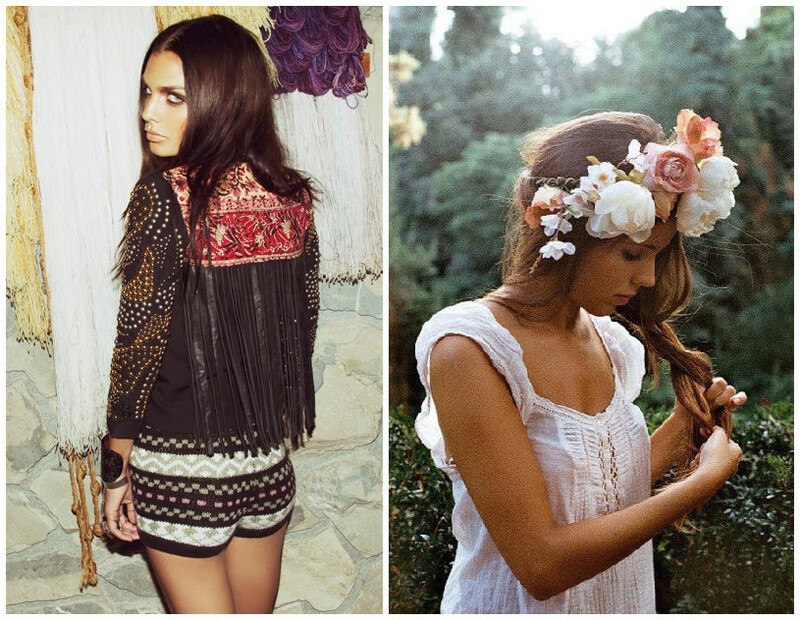 love this look..especially flower crowns!